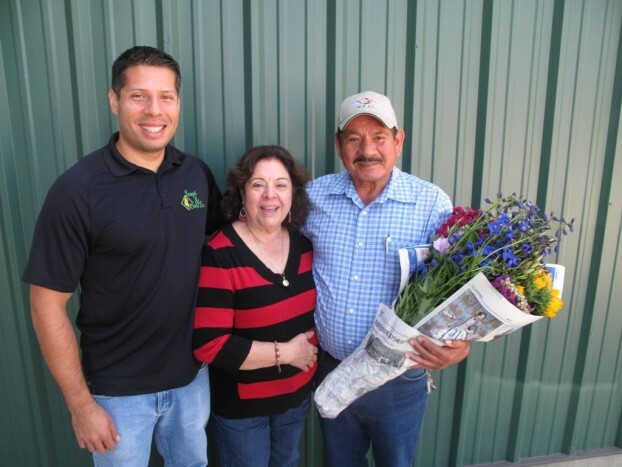 Tony Ortiz (left), with his parents Mercedes and Joseph Sr.
Today’s guest is an up-and-coming leader in cut flower farming in California and the U.S.-American grown cut flower world. 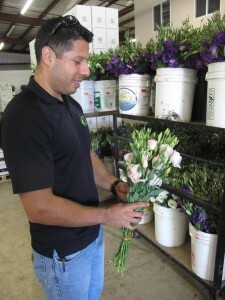 Tony shows off some of the fresh, just-picked lisianthus from Joseph & Sons’ fields. I met Tony Ortiz last year when he and his father Joseph Ortiz, Senior, were part of a delegation of U.S. flower farmers who traveled to Washington, D.C., for meetings with their Representatives. 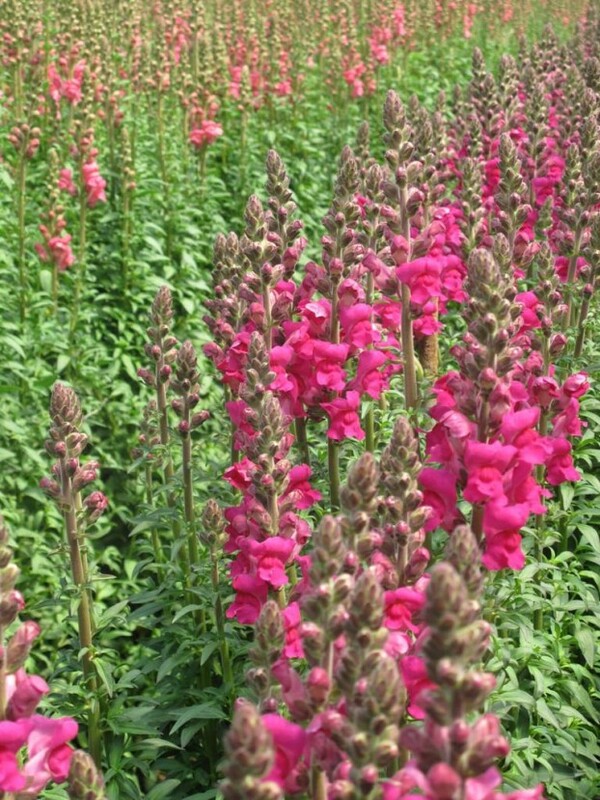 Their family farm, Joseph & Sons, is based in Santa Paula, California (Ventura County), where the vast majority of their flowers are field-grown. 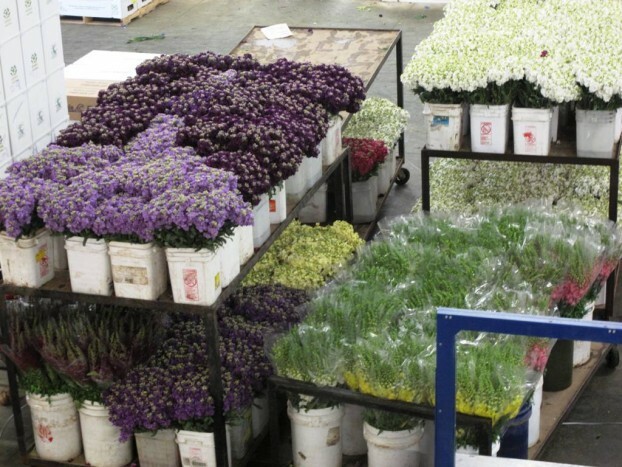 I always have a soft spot in my heart for field-grown flowers, so I was excited to schedule a visit to tour the Joseph & Sons’ operation when I was in Southern California last month. In Santa Paula, they grow 58 acres of flowers, as well another 1 million square feet of greenhouse-varieties. To get to Joseph and Sons you drive north from Los Angeles on the Ventura Freeway (Hwy 101) and turn east once you hit the city of Ventura. I felt quite a bit of nostalgia heading up to Santa Paula, traveling that same route I drove for four years when our family lived in Thousand Oaks from 2006-to-2010. So may familiar stops that brought a flood of memories along with the sunshine that required me to wear sunglasses (not something that happens much in the winter up here in Seattle). 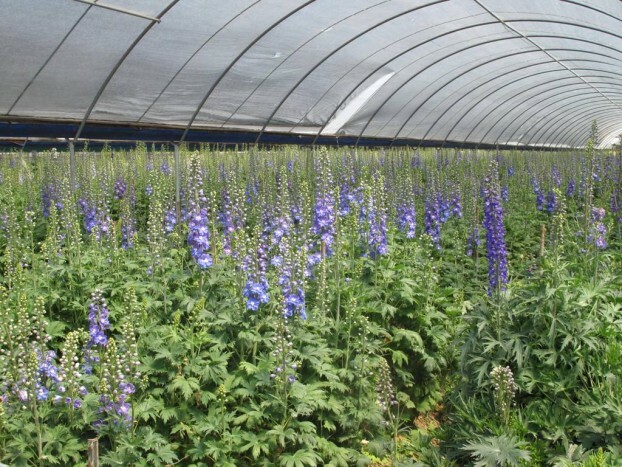 Beautiful blue delphiniums in the high tunnel. At Hwy 126 I turned east, away from the Pacific Ocean, and after a few miles, I exited and made my way through agricultural fields growing nursery plants and food crops. 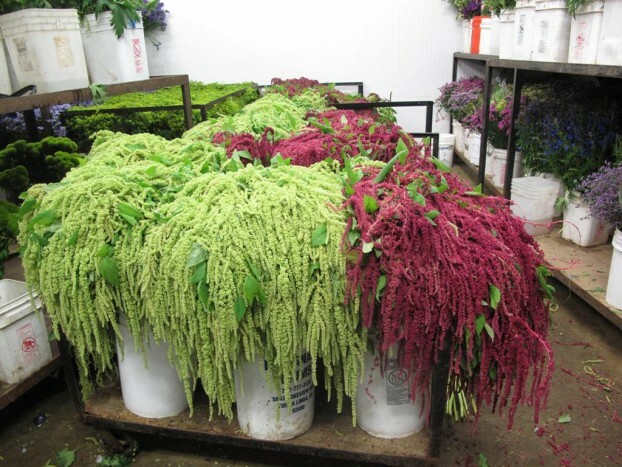 Look at this gorgeous, healthy amaranthus! By the way, as you’ll hear in my interview with Tony, Joseph & Sons also grows flowers in two other California regions: Lompoc, in Central California, where Joseph & Sons has 280 acres of field grown flowers, and Imperial Valley, in San Diego County, where the company grows 75 acres of seasonal flowers. Joseph & Sons is a Certified American Grown flower farm selling flowers across the U.S.
A birds-eye view of the packing operation. The family-owned and operated business has more than 50 years of growing and shipping experience. Founded by Joseph Senior, a man who allegedly was born with a green thumb that others have tried in vain to duplicate, these flower growers are dedicated to making sure the best growing practices are followed. And just for fun, follow this link to J’s “Happy Video” ~ you can’t miss Tony (and the rest of his family) dancing to Pharrell Williams’ song! Listeners like you have downloaded the podcast more than 46,000 times. Until next week please join me in putting more American grown flowers on the table, one vase at a time. And If you like what you hear, please consider logging onto Itunes and posting a listener review. This entry was posted on Wednesday, May 6th, 2015 at 5:26 am	and is filed under American Grown, Blog Posts, Creativity, Flower Farming, General, Plants, Podcast Episodes, SLOW FLOWERS Podcast. You can follow any responses to this entry through the RSS 2.0 feed. You can leave a response, or trackback from your own site.